Being in the business of providing antenatal classes to parents-to-be or classes to new parents in the postnatal period, we noticed that a lot of parents move house at some point during their pregnancy, and often towards the latest stages of the pregnancy, or carry out building / extension work either during the pregnancy and during the early weeks and months of their babies’ life. But why so many of us do this? Why do we embark on big, stressful events like moving house or building work when we’re already going through the life-changing process of creating or raising little people? Space – with little people comes the need for additional space, for their bedroom, for their things, for their toys etc. and we want to make sure we have enough of it, so whether this means looking for a bigger place or making our current one bigger (because we don’t want to / need to / or can’t afford to move), we go for it! The nesting instincts – it probably goes hand-in-hand with the search for bigger spaces, when a baby is on the way, we feel the need to ‘have everything ready’ for them. Things have to be sorted and organised. We want to feel ready for the arrival of your young, and if the place we live in isn’t right, then we do whatever we need to do to make it right! Childcare and support network – the lack of child care and a solid support network can become a real concern for couples who live away from their respective sets of parents, even more so if their work / life experiences have taken them to live abroad. Often having children is what prompts us to move back closer to home, just to make sure that our children can get to know their grandparents and we have access to their invaluable help! It’s not just our parents though – it could be a whole set of relatives, family friends, people we g rew up with etc. Better location and better schools – once again, having children makes us re-evaluate some of our priorities in life. Is the place where we live the place where we want to raise our children? Many aspects fall into the mix here, and there will be different reasons for different people. Some may be looking for an area with a reputation of good schools or with a particular religious or ethnic mix and community that are important for their family and their background. Others may be looking for more green spaces, less pollution, less criminality, less cars, somewhere that allows the parents to be closer to their work place to achieve a better work / life balance or have a better career or job stability. Or there might be families looking to live closer to the coast, or in particular city / area / region / country. Or even looking for a more sustainable lifestyle or just for a ‘family adventure’! There are many reasons why families who are expecting or have young children decide to move (probably as many reasons as there are families! ), and whatever their drivers are, the end result is that a lot of us go through all this with big pregnant bellies or babies in tow. 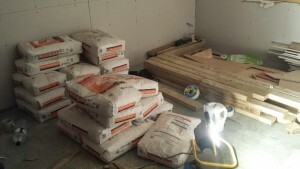 So what are the secrets to surviving a big house move or a big renovation project? On top of the ‘standard’ advice that goes with every house move (which includes things like planning your move from the moving date backwards, organising your things in labelled boxes, changing your address for any utilities, subscriptions etc.) moving with a baby or young children, can be extra challenging, so make sure that you plan in the extra time you will need to pack (and then unpack). As we know, babies are quite demanding of our attention (in a good way! ), and they might not necessarily like their mummies and daddies spending so much time putting things in boxes! And if they are old enough to like it, it’s normally because it means they can ‘help’ you by putting your toilet brush in the box labelled ‘pots and pans’, or go in the boxes and unpack what you’ve just put in! So if you have limited time, consider getting extra hands for help or arranging for childcare so that your children are attended to while you focus your energies on packing. When you pack make sure you pack a bag / box for your children that you know you can get access to straight away after your move. It’s important that you plan what you are going to need for them for the first few days at least and take that bag / box with you. You may not be able to access and unpack the rest of your things until later, so having their things (and of course anything that YOU will need in the first few days) handy will take a lot of the pressure off, and it means you can look after them without stressing about when the unpacking will be finished. Once you’ve moved, try and take it easy! Give yourself and your children the chance to familiarise themselves with their new surroundings – children adapt really well (often quicker than adults), but it’s important that they have some consistency in their rhythms and routines and the people around them of course. If you are in brand new place and spend your time rushing through the unpacking, they will let you know they need you even more! So allow yourself to take a breather – you’ve done it now, you moved! It may take you a little longer to unpack, but at least you won’t feel as stressed and you will have probably helped your child’s transition to a new home a little easier. Having builders in your home (making a mess) breaking through fixtures / renovating / fitting new furniture etc. has to be one of the top things designed to test your patience! 😉 This is why it’s fundamental to make sure that to the best of your knowledge you’re getting the right builders for the job – make sure you ask around for recommendations and employ someone you’re comfortable with and can communicate well with. Although you want to keep overall control of your budget and plan, it helps to have someone like a Project Manager who is in charge of managing the various contractors, the materials and the timings for you, especially if it’s a long and complex project. Whilst the above is true for everyone, if you’re pregnant or have a young child, be mindful of exposure to any fumes (from paint or silicone for example) or too much dust (from breaking through walls / ceilings, sanding walls etc.). 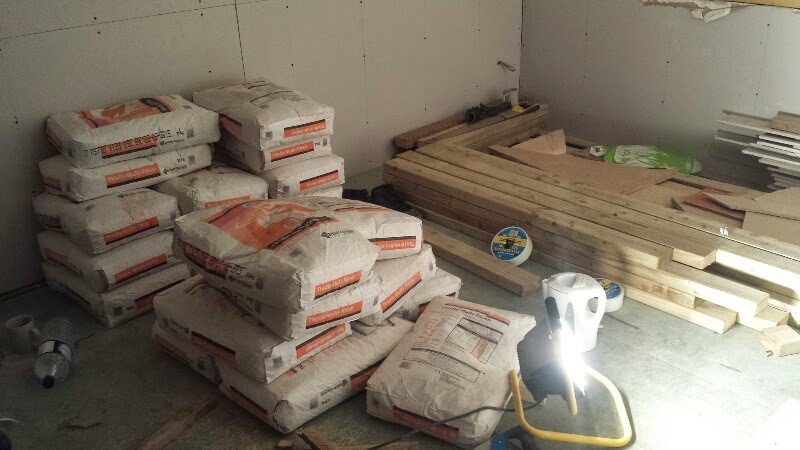 These things could affect your breathing and health and the health of your unborn or young baby, so when things ‘get serious’ when it comes to building work, consider staying elsewhere if you can while the messier aspects of the work are carried out. And on that note, for the times when you are staying in the house or if you can’t away, it helps if you can at all consider to ‘section a part of the house off’ so that becomes a building/builders- free space. The idea is to close the doors behind you and claim that room (or that areas of the house) as your space as much as you can – you may need to move a few bits and furniture but having an area that’s livable for you and, if you have a little one, where you can look after your little one should really help. 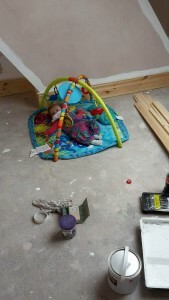 If you’re in the late stages of your pregnancy and about to start a big building project, which could, in theory, be completed before your baby’s grand arrival, do take into account that building and renovation projects can bring big, unexpected surprises which will not only impact your budget but also your timings, and you may find that your house still looks too much like a building site when it’s time to have your baby (home birth anyone?) or bring your baby home. You should take all this into account and plan accordingly if you decide to go ahead, or, if you can, consider delaying the start of the project until your baby has arrived and he or she is a few weeks old at least. It’s not just about the mess and disruption that would be around you in the most immediate postnatal period, but also the fact that you have builders in and out of the house at the very time when you’re recovering from the birth and getting to know your little one. 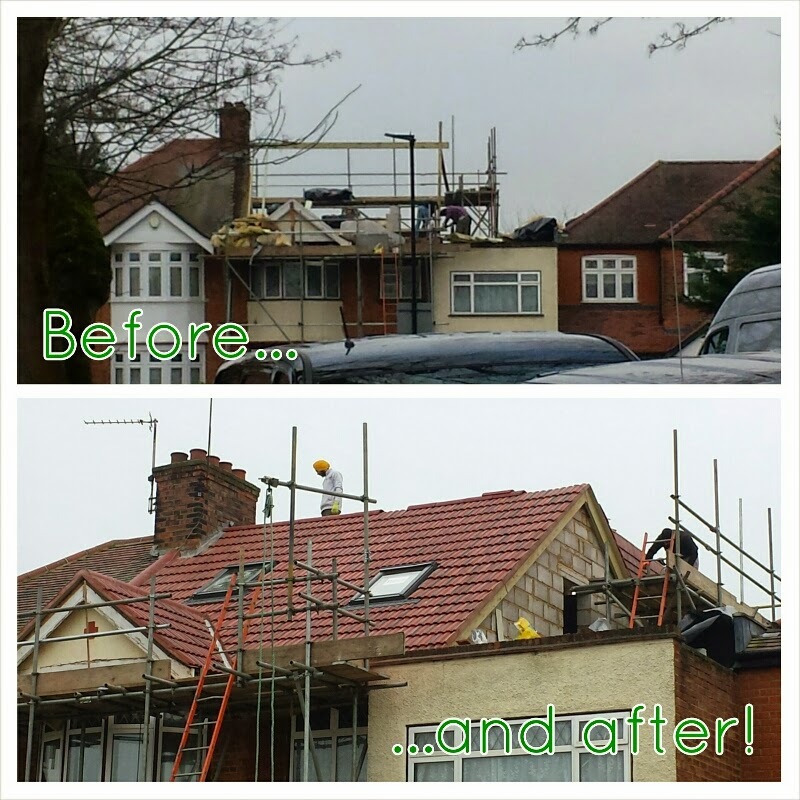 Sometimes we don’t have a choice, but if you worry your building work may experience delays, you could see if you can make different arrangements. Also, if you are expecting, don’t underestimate how you may find that the works can impact you, how tired you are, and the way you feel and react to things. Seeing your house becoming a building site can be quite daunting (things have to get worse before they get better, right? ), and for a ‘nesting’ mum who wants to get everything sorted and ready for their little one, it can all feel a bit too much to deal with. Be kind to yourself – it’s ok to feel overwhelmed and upset about it. If you can distance yourself from the works, at least during the day when most of the works are carried out, do that, and make sure you have someone to talk to and who listens to and values how you are feeling. It’s also important that you don’t get yourself over-tired as this could impact your health and take away some of that energy that you want to save for the birth and the first few weeks of your baby’s life! This is it from us for now – we hope you found some useful tips in here, but if you have had similar experiences and have anything to add and share with other expectant parents, please do add a comment or give us your tips on social media. Thank you to Natal teachers Katy, Amy, Sara, Pippa and co-founder Steph for their contribution to this post. 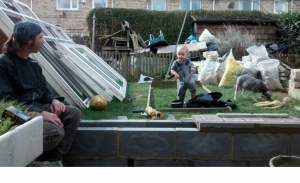 This entry was posted in Uncategorized and tagged antenatal, Antenatal classes, antenatal education, babies, babynatal, birth, builders, dads, empowerment, house extension, house renovation, moving house, parenting, The Natal Family by steph. Bookmark the permalink.